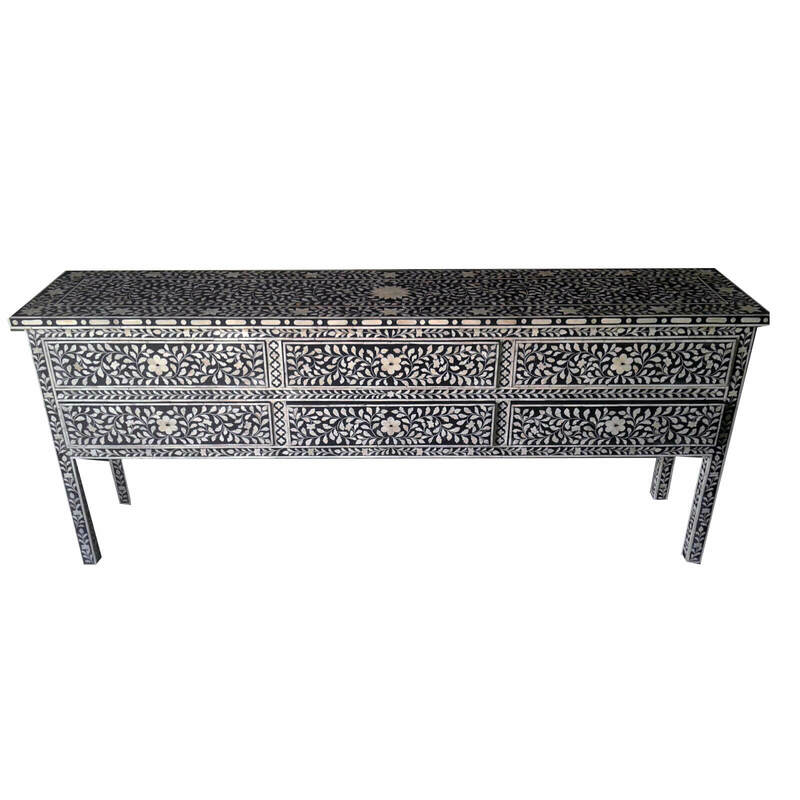 This black bone inlay 6 drawer sideboard offers storage solutions with style. 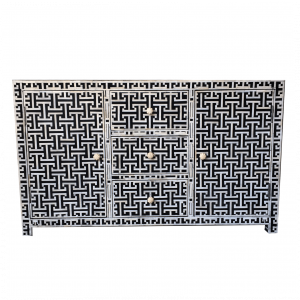 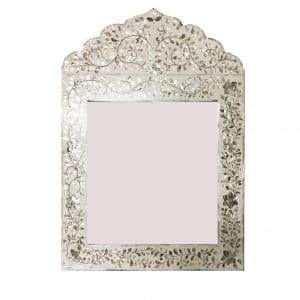 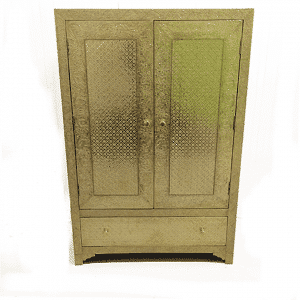 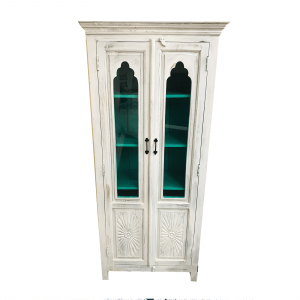 Ideal for an entrance hall, bedroom or living room it combines traditional Indian artistry with contemporary functional modern living. 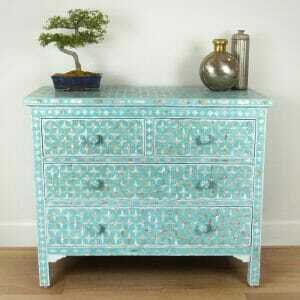 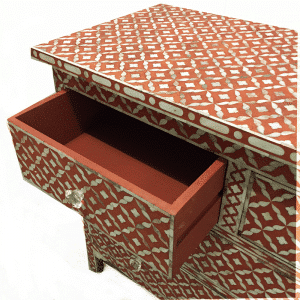 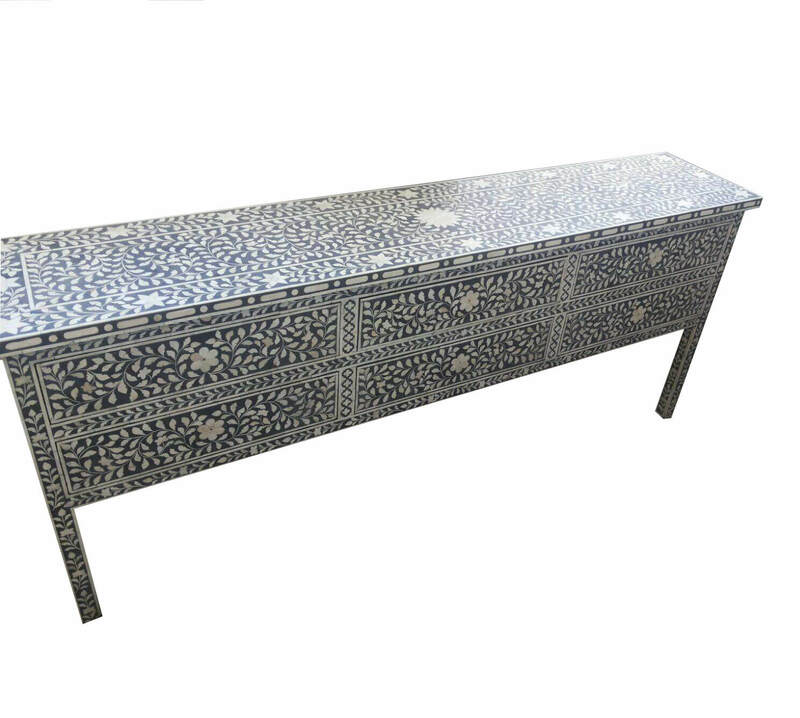 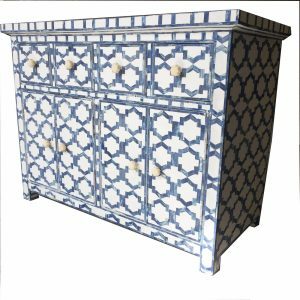 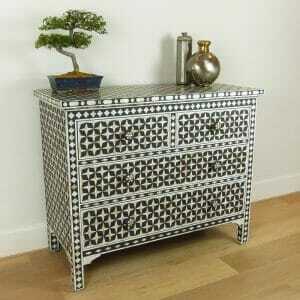 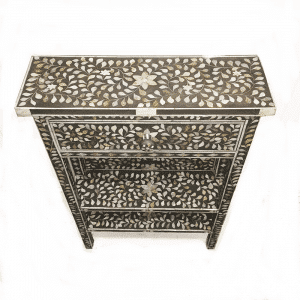 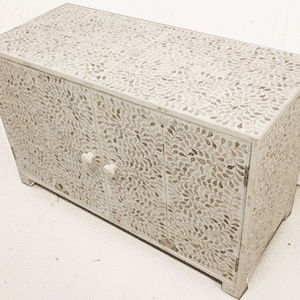 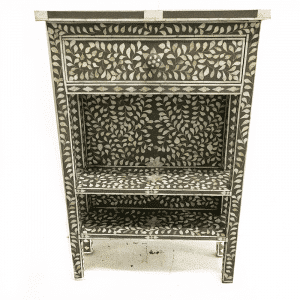 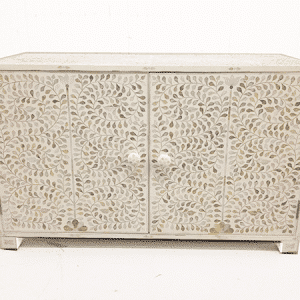 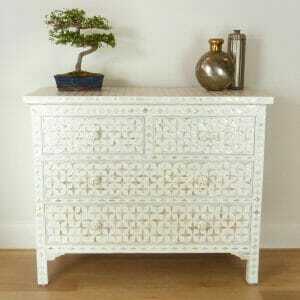 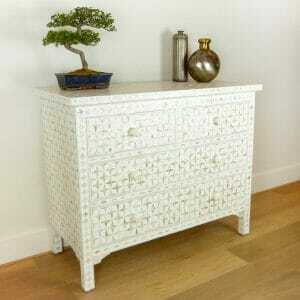 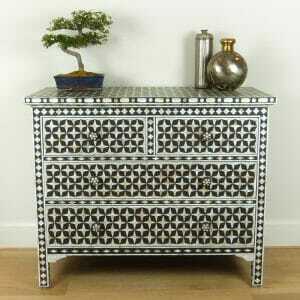 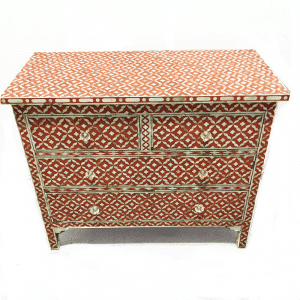 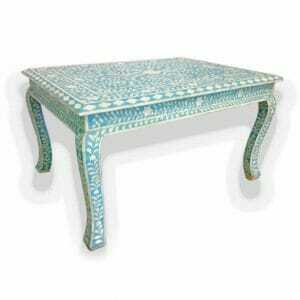 The camel bone inlay pattern is particularly striking when seen on the two meter expanse of the sideboard top surface. 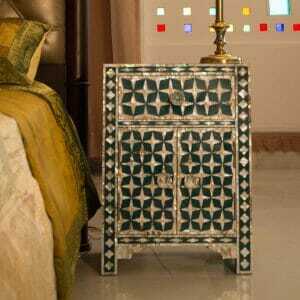 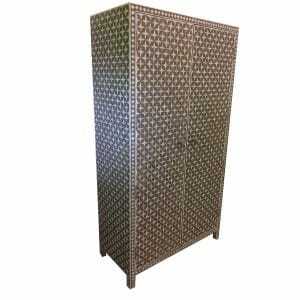 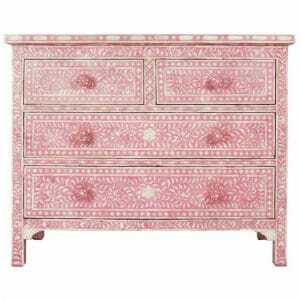 The timeless elegance of the floral inlay pattern will marry well with most interior decor schemes. The organic cream tones of the bone offer the perfect counter point to the jet black resin and the pattern conjures a theme of understated Indian elegance. 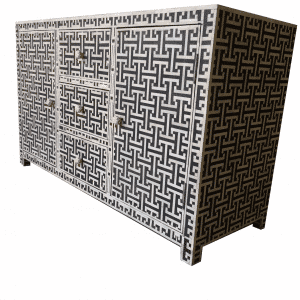 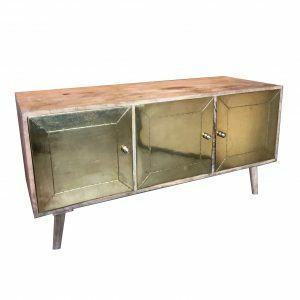 If this bone sideboard is a little too wide for your space why not order one in bespoke dimensions? 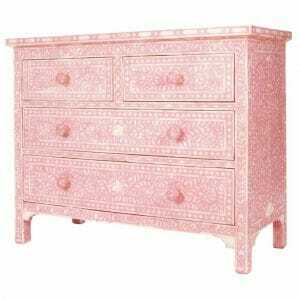 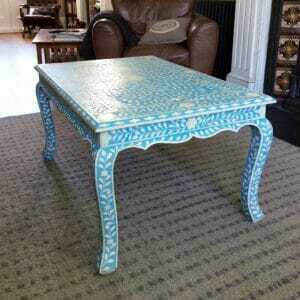 For a smaller piece the quote will be less than the listed price of this one. 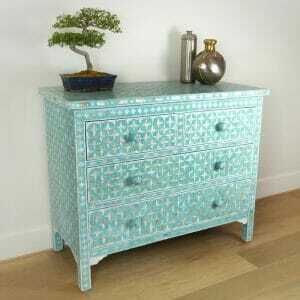 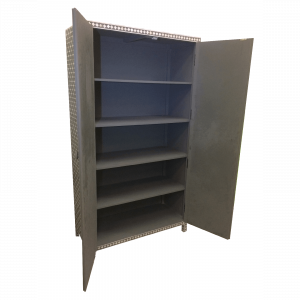 Please email info@irisfurnishing.com to start your collaboration with us on your made to measure furniture.